I began as a member and quickly fell in love with the sport of CrossFit. I received my L1 certificate in hopes to motivate others to make fitness an important part of their lifestyle. A few years ago I taught myself how to juggle and joined the circus. Just kidding, I didn’t join the circus but I am damn good at juggling! Joining CFT is a decision you’ll never regret. We have multiple class styles to fit every fitness level and our member community is unlike any other. You will feel inspired and motivated every time you finish a class. 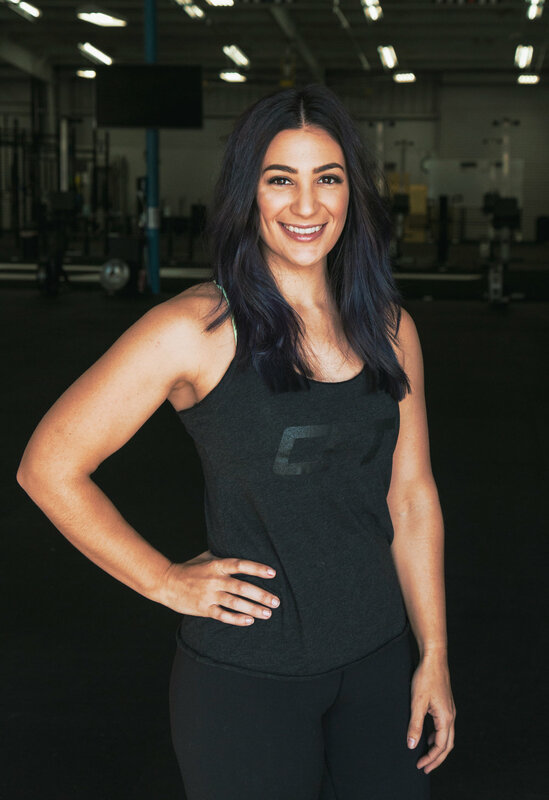 I started working at CFT Fitness to simply share my love and passion for fitness and to continue growing my career as a coach. I'm half Italian and half Brazilian and I wrestled for 20 years! If you are looking for a place to not only have fun through fitness but also be treated like family, then you have already found your new home! Hi! my name is Scott Higgins. I have always had a passion for helping other be the best they can be. CFT Fitness has allowed me to combine my love of fitness and passion for helping others. Fun fact about me, I enjoy Opera and plays. Confucius said, “He who says he can and he who says he can’t are both usually right.” The first step is usually the hardest, but we are hear to help guide you in your fitness goals and journey. You do not have to already be in shape in order to get into shape, let us be the positive motivator in your life. 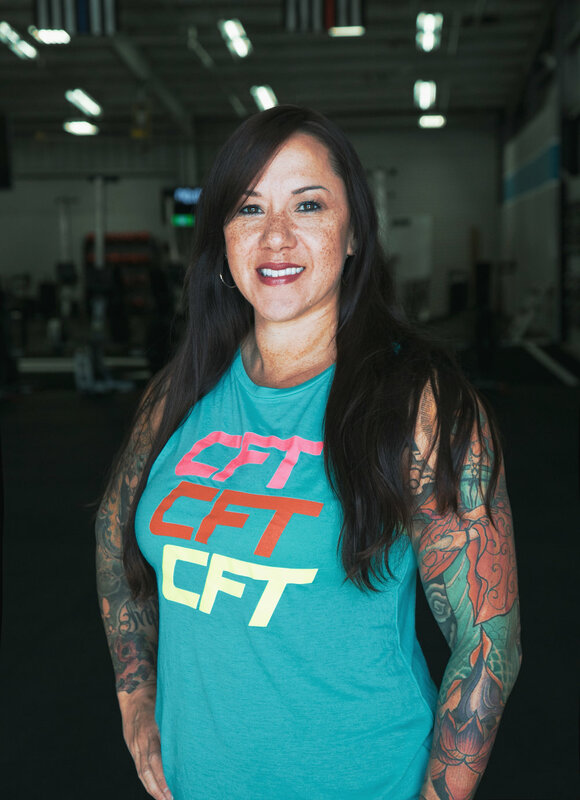 I started working at CFT Fitness because I wanted to share my passion for CrossFit with all levels and ages of athleticism. I love motivating others to be healthy and work hard towards their fitness goals. Fun fact, I have toe thumbs and constantly trip over everything. You don’t have to be fit to start getting healthy. The environment at CFT is motivating and we love new members. CFT is a fit for me as a coach because I truly believe in the promotion of a healthy lifestyle that offered in so many different ways at our gym. I am proud to help CFT’s constant endeavor to give back to the community. I once survived for 36 hours in 7 degree blizzard conditions in a backcountry skiing incident that left me with frostbite and hypothermia. Till this day when it’s cold I can’t feel my fingertips. Putting in hard work, safely, with coaches who support you and hold you accountable is how results happen. CFT can provide you the empowering feeling that comes with adopting a healthy lifestyle. I started in 2005-6. I had just had a baby and friend of mine asked if I wanted to true this new workout he found online. I said sure. I did it with no coaching just some rock head trying to lift weights. I went back and forth got the next couple years of doing this with no coaching fast forward to 2011 I think and my neighbor across the street found out I did Crossfit and told me about Crossfit tracy. I came in took there on ramp class, first time with real coaching and the rest is history. I explain workout pain or should we say effort in pepper terminology. This is just jalapeño spicy or ghost pepper this ones going to hurt. Give Crossfit a try. Any workouts can be tailored to your needs. I’ve come back from having a baby , c section and a hip surgery to Crossfit. We scale to all abilities. Hi! My name is Emma Rodrigues. I have been a member of CFT Fitness since June of 2010. It was formerly West Valley Crossfit, Crossfit Tracy, and currently CFT Fitness. I became a coach in May of 2013. I loved my new found strength and progress in a fitness lifestyle that was very appealing and rewarding to me, I had to share it with others. Watching and helping people overcome their fears and reach their fitness goals were the main reasons why I became a coach. I love each every one of my clients/members and have made some lifelong friendships over the years. CFT is something you have to experience on your own, you really can't take someone's word for it, so come and see what we are all about! Hi! My name is Lizzie Michael. I started working at CFT earlier this year when I was looking for another training job. I was so happy to be brought on the team, especially since I was a client since I moved here in 2015. I am here to help you find deficiencies and take you back to basic, back to neutral and build up from there. Giving you more pleasure in your life than pain, prepping you for group glasses or more advanced movements. Little bit about myself, I’m a farm girl from the east coast and I refuse to say Hella. I also cannot help myself from dancing when music is on. If someone was on the fence about whether joining CFT is the right choice, I would help them to see the benefit of having such a variety of coaches and classes to choose from. We work with anyone’s compensations, deficiencies and/or injuries, no matter the skill level. This way we can help them build a foundation and a routine to improve their movement efficiency and relieve their body of aches and pains. Guidance and skills to improve their health in the long run. Along with a fun and family oriented facility. I got into coaching because I enjoy working with people in a positive way to help them make health changes in their lives. It’s always rewarding watching someone transform their lives through fitness. I’m a closet ''crossfitter'' who competes in powerlifting. Before powerlifting I competed in Olympic lifting. We all started somewhere....why not now? Hi! My name is Nicole Webster. I love CrossFit and it’s huge part of my life. Naturally I wanted to be apart of the community that has completely changed my life in the most positive and profound way, in hopes of helping someone else change theirs. Fun fact, 80% of my text message responses are GIFs. If you're thinking about joining, just do it! You’ll be surrounded by so many people who share the same goals! Plus you’ll make some life long friends along the way. 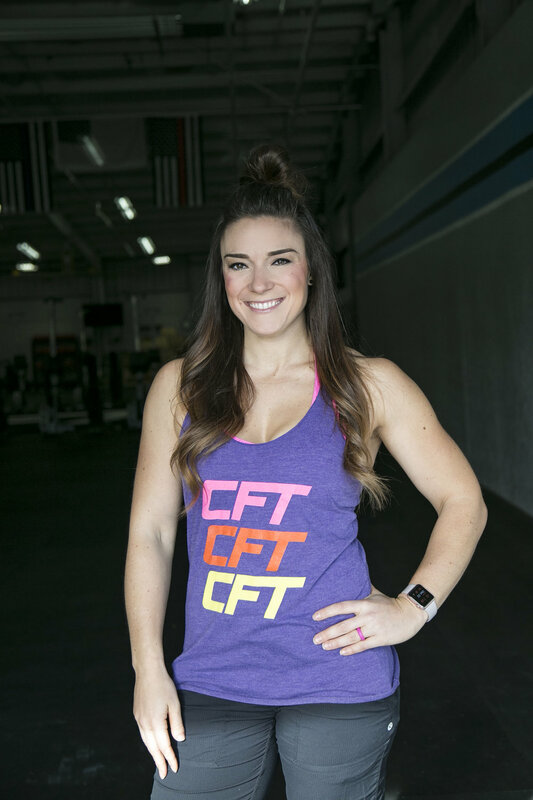 I started working at CFT because i loved the atmosphere as soon as you walk in the box. You get a sense of belonging to a family you didn’t know you had, and i wanted to be a part of that. If you’re on the fence about joining, I’d say take the leap! What do you have to lose? From personal experience i can say that the programming at CFT Fitness not only works, but the community aspect will keep you coming back. Hi! My name is Ronnie “Rambo” Webb. I lost my mojo at a regular gym and then discovered CFT Fitness. The CFT Community made me feel like I belonged and it’s been a great way for me to relieve stress. I am 60 years old and I love working out and still going strong. The camaraderie of people and the friendships I have gained is something that cannot be found elsewhere.